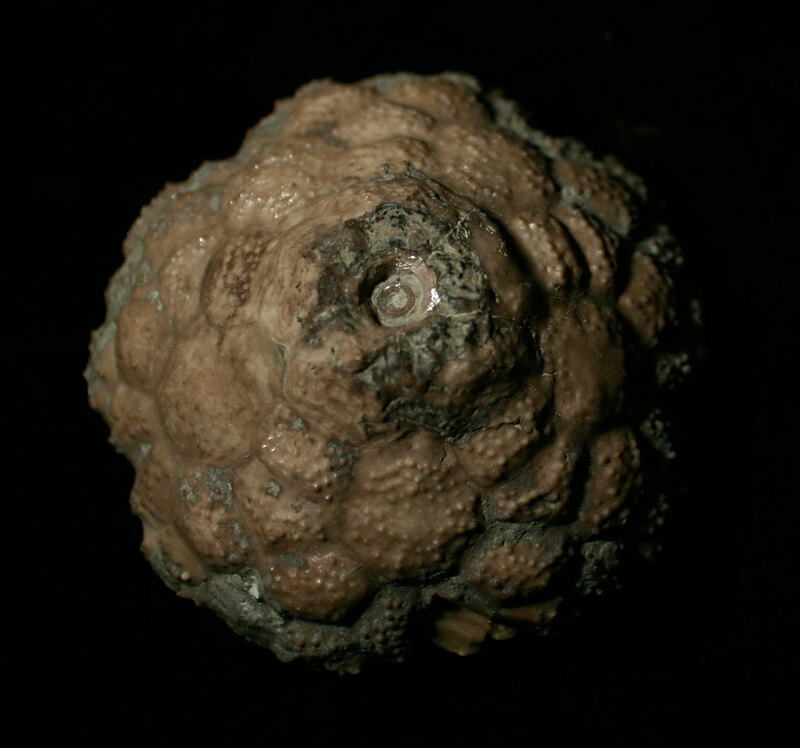 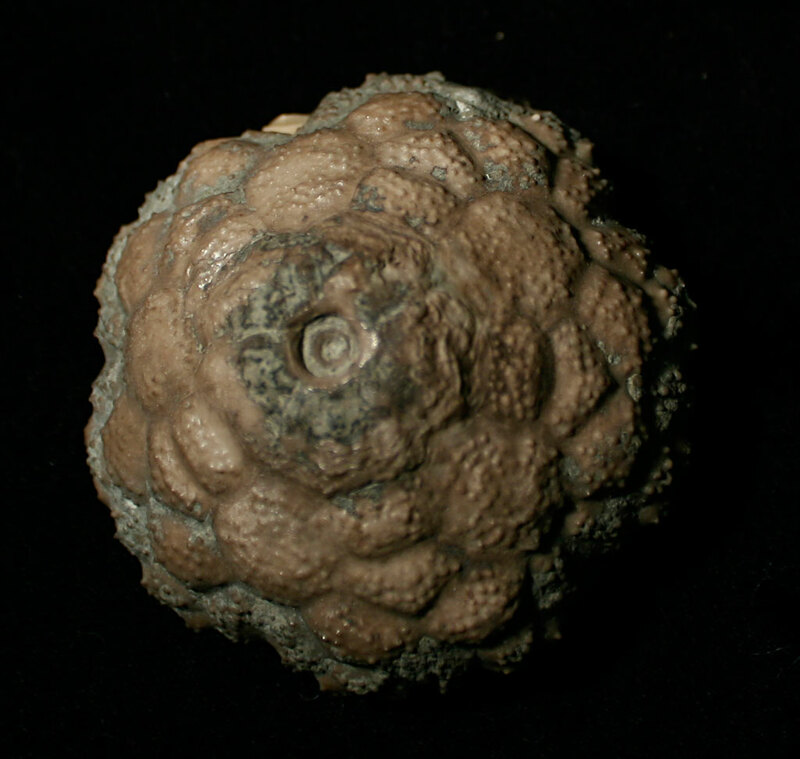 The fossil shown here is an Eucalyptocrinus elrodi crinoid calyx found in the Waldron Shale of Davidson County, Tennessee, USA. It was found in the 1960s. Fossil dates to the Silurian Period. 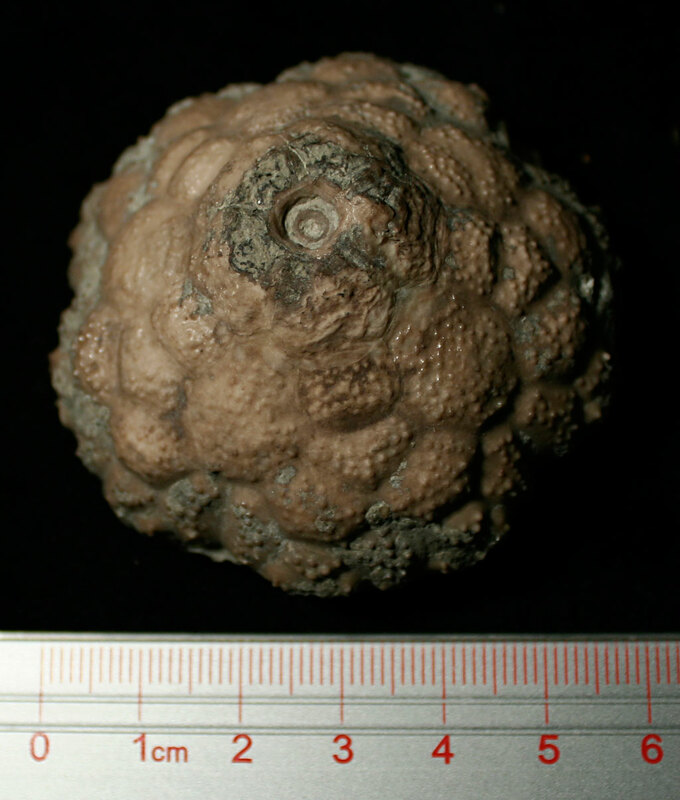 The plate texture on this crinoid calyx is very nice.